It’s always nice to see great things happening in games in the South — a part of the United States you might not necessarily associate with game development. It’s no secret that the South has struggled to attract technology and entertainment businesses to its corner of the US. Despite having high-profile developers such as Hi Rez Studios (SMITE) and Tripwire Interactive (Killing Floor), people simply don’t think of states like Georgia having any game industry presence. This creates some interesting issues for game developers since it’s not only challenging to network and connect with industry experts, it’s also difficult to find outlets that showcase games locally. Thankfully, the Southern Interactive Entertainment and Games Expo (SIEGE) exists to help create a stronger game industry presence in the Southeast. Made it into the SIEGE show guide! 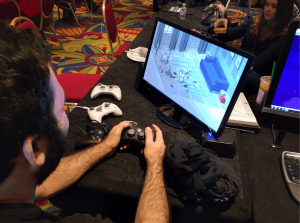 SIEGE is an annual convention organized by the Georgia Game Developer’s Association (GGDA) in Atlanta and serves as the largest game industry convention in the Southeast. 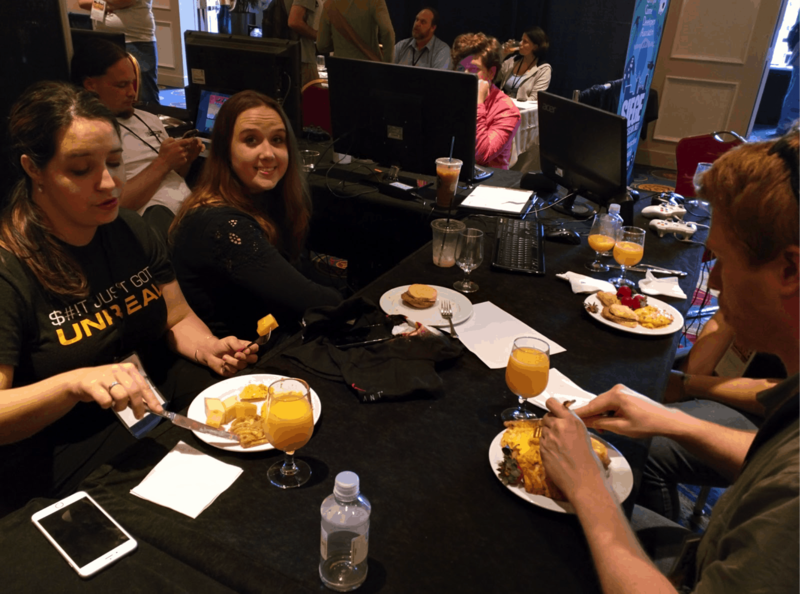 It attracts developers from all over the world to share their experiences with the local community — and it even contains an International Game Developers Association (IGDA)–sponsored Leadership Track. It’s probably best to think of SIEGE as a smaller GDC of the South. It gives developers who are located in the South an outlet to showcase their games, receive feedback from industry professionals, and allows everyone in the area who works in games a space where they can interact with colleagues from studios outside the state. 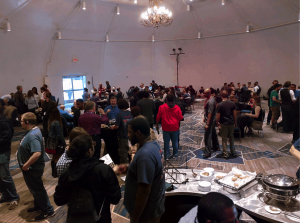 This year’s Keynote speakers included Warren Spector and Erin Hoffman — each of whom provided in-depth talks about how to tackle issues faced by developers. There’s also an investment conference that took place in the days leading up to the main expo — where companies and studios pitched their games to investors. Last year, I attended SIEGE as a journalist — so it was interesting to attend this year as a PR professional with different goals and motivations. 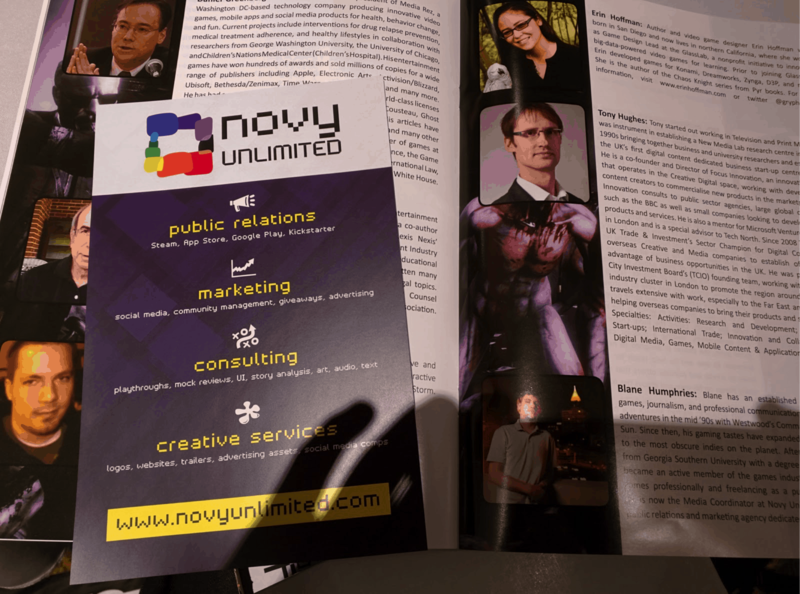 Instead of trying to talk to developers and report back on games, I shared my game industry experience as a PR professional and journalist at the professional services table. 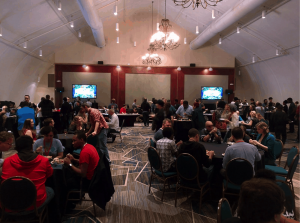 This year, IGDA’s Atlanta chapter hosted the finals for the Game Studio Smackdown — a tournament for game devs, by game devs; as vice chair of the chapter, I knew it was going to be a very busy weekend. 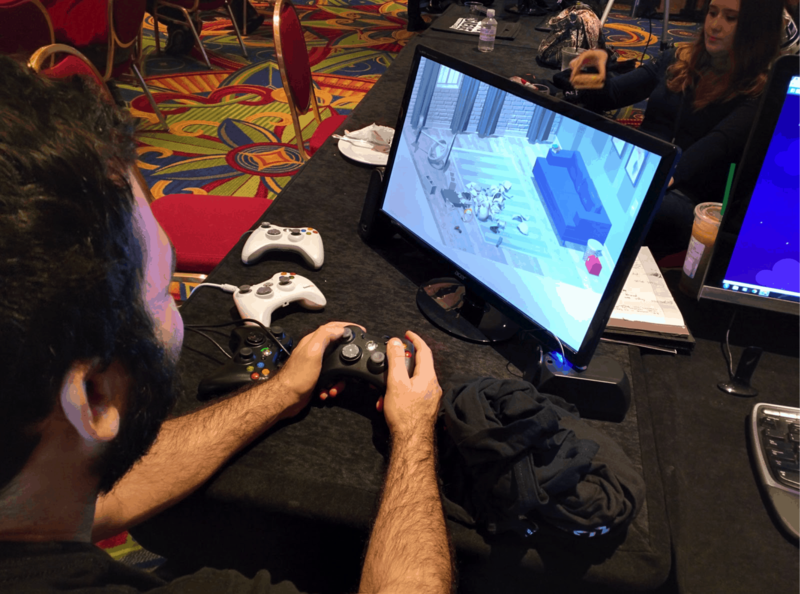 The thing that makes SIEGE different than other cons — such as MomoCon, DragonCon, or even GDC — is that it’s focused on the local game industry and has strong sense of community. 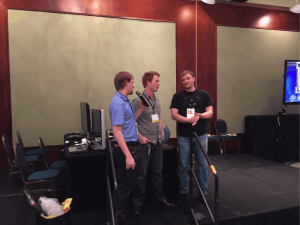 Everyone is there to help help put the Southeast on the map as a major player in the game industry. 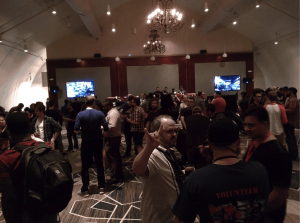 Every event, every panel, and every party is all about building the local industry and helping each other grow as professionals — something that is missing from other conventions I’ve attended. The showroom floor is a place where developers meet up to play each others’ games, brainstorm ideas, and share feedback. There is no mad rush to “beat out the competition” or steal consumers away from other booths. Instead, everything is friendly and professional — as it should be for a convention that brings the community together. The showroom is also where the Professional Services table was located, which is where I happened to spend a good chunk of my time. This table was reserved for more of the “other” sides of game development that get largely overlooked during the development process like business strategies, making sure everything is legal, and PR/Marketing. 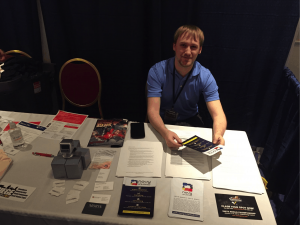 Chilling at the Professional Services table…like a BOSS! It was great being a part of this group and being able to share my experiences as a journalist and PR professional with some of the independent developers. A good chunk of them had no idea about all the preparation and work it takes to do what we do, so being able to help put them on the right track was a pleasure. After all the panels are done for the day, the parties start! Every year I’ve attended SIEGE, Tripwire always throws a huge party on Friday. It’s just part of the SIEGE experience. It’s always fun and a great way to start the weekend. Friday night party. ROCK ON! Saturday was crazy, but probably in all the best ways. After the first set of morning panels, there’s the official SIEGE networking lunch. 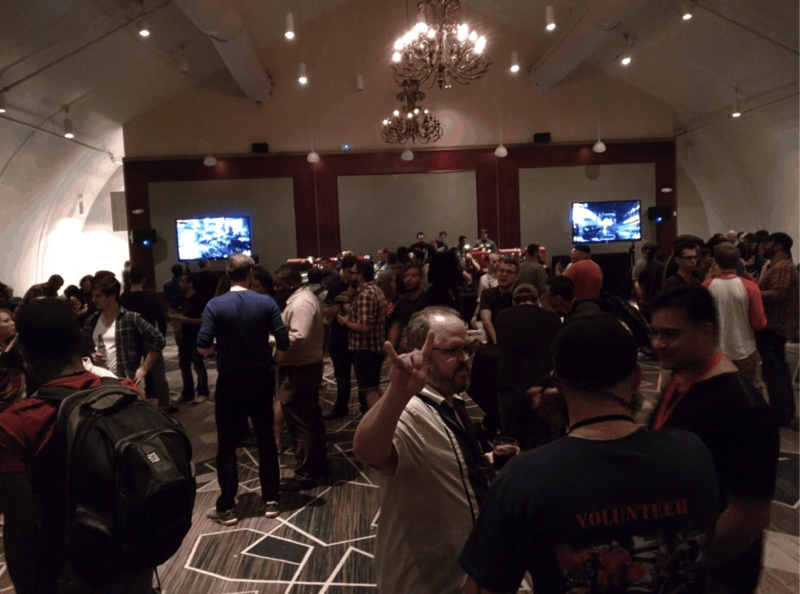 This provides a great opportunity/excuse for people to network outside of their social circles and meet some of the other professionals that are at the convention. During the SIEGE lunch was IGDA Atlanta’s Game Studio Smackdown finals featuring Hi-Rez Studios vs. Spray ‘n’ Pray Studios in Halo 2 . It was a ton of work putting it all together, but the tournament was a resounding success for both competitors and spectators. In the end, Spray ‘n’ Pray demolished Hi-Rez in Halo 2 and Orion Cherry ended up taking the gold in Hearthstone. The rest of Saturday was filled with more panels, more networking, and of course, more parties. Pro tip: If you ever go to SIEGE, you are expected to attend at least one party. It’s just part of the experience. Plus, you’ll never know who you’ll run into and who could become a potential business partner/client. Parties at conventions are where everyone can just relax and have a good time among their peers and colleagues. They also show potential industry contacts that you are personable and someone they can relate to, which is important in any field of work. Sunday was a very leisure-filled day. 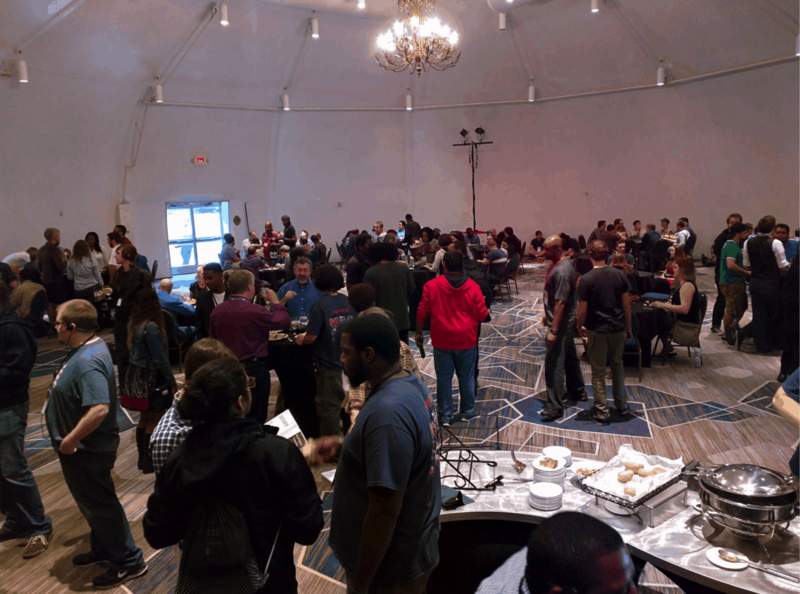 The GGDA provides breakfast for everyone to help kick things off for the day. It’s also the shortest day, since everyone has to pack everything up before they leave. 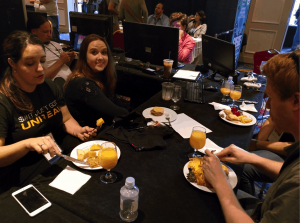 Having breakfast with the Ker-Chunk Games crew! As a developer, making a great impression at a convention is important — and SIEGE is no different. It’s a great convention to attend. There’s something for everyone — whether you’re a professional, a student, or a hobbyist trying to enhance a skill. You might even run into other professionals, like me, who have experience in other aspects of game development that often get overlooked. SIEGE offers a great blend of community, professionalism, and industry talent ensuring that there’s always something for veterans and newcomers alike.